This book, one of the classics of travel writing, is now available online via Google Book Search. It’s a funky scan, but at least it’s not an appalling abridged edition like one I saw published a few years ago. 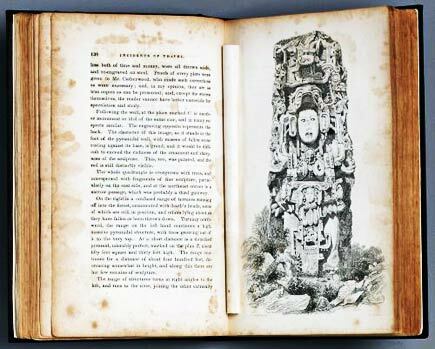 The image is the original 1842 edition, from the collections of the Metropolitan Museum in New York.